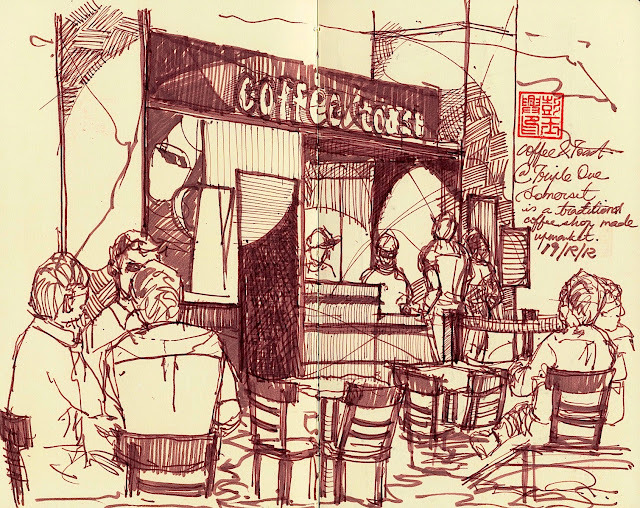 Musings of a Citi Sketcha: Cafe Sketchwalk 3: Orchard Shopping Belt. Kith Cafe at Park Mall, Penang Road. This is the off-shoot from the Rodyk Street main store. It's a collaboration with X-Tra furtniture store and thus explains the electic and stylish selection of furniture. The coffee is interesting enough with a passable selection of food. 'Home-cooked' and 'simple' are words that one would not and should not use when introducing a bistro in the busy retail/commercial area; but they did, to underwhelming effect. Coffee & Toast at Triple One Somerset, Exeter Road. Black Coffee was closed for renovation (or for good?) when I was there. So I just walked a few more steps to check out this other shop that is basally a glorified local kopitiam. Bleary-eyed CBD workers form long queues in the morning to get their kopi fix from Coffee & Toast. Local tea and coffee in the style of Ya Kun, Wang etc. but slightly cheaper than either place. Raindrops Cafe at *Scape, Orchard Road. Raindrops Cafe offers alfresco dining and dishes by the former Red Dot Cafe Chef. If it starts pouring in the middle of a meal, a 20 per cent discount will be given. The crew also offers rain shelter service with specially designed umbrellas since there isn't any linkway from the main building to this littel bistro. Raindrops Cafe serves simple comfort food. The food portions are a little small and not fantastic in terms of taste but the prices are reasonable and it’s a good . 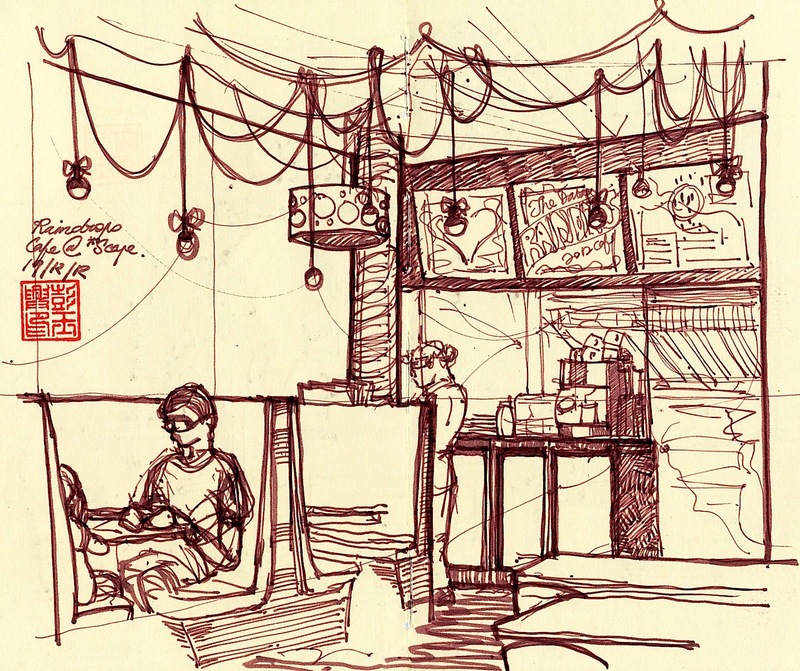 If you are looking for a nice cafe to chill out or for dinner Raindrops Cafe may be the right place.